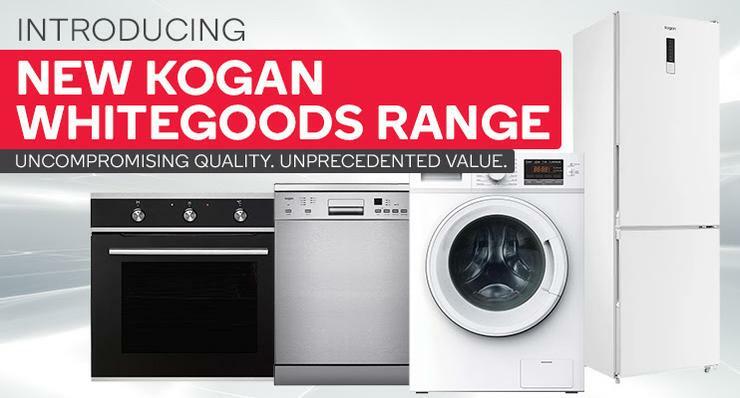 Kogan is looking to make their mark in the household appliances space with a range of new fridges, dishwashers, washing machines, dryers, ovens and cooktops. The range includes a Freestanding Dishwasher with a 4.5 star water rating, 14 place settings, anti-flood and anti-leak technologies for $229. A high power, 7.5kg Front Load Washing Machine with a 4 star water rating and 16 different programs is available for $349. Kogan is also offering a 323L Bottom Mount Refrigerator for $459, an Electric Built-in Oven for $199 and a selection of gas and ceramic cooktops from only $149. Every item in the range comes with two-year warranty. “Australians are more comfortable than ever shopping online. We’ve launched our initial range today and expect to be building our offering in the years to come,” added Bobrovnychyy. For more information, visit kogan.com.